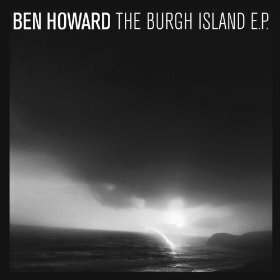 After his sensational debut album Every Kingdom, Ben Howard’s newest release The Burgh Island EP has not disappointed. Though fans have come accustomed to the smooth, acoustic, folk songs experienced in the album, The Burgh Island EP demonstrates a darker side to his songs, highlighted by the use of the electric guitar rather than his usual acoustic self. Yet the gritty, and albeit, gloomy sounds does not take away from the emotion and soul that is put into the lyrics and songs themselves. The songs were all inspired by his memories from surfing the beaches of Burgh Island, which leads to question, why create a darker tone for the songs? Though fans and listeners would agree that the sound of this EP is completely different, it does not mean it’s a bad change. The opening track “Esmerelda” begins with eerie sounds, which grow more powerful as the song progresses through the beats, perfectly complemented by the rasp in his voice. The second track “Oats In The Water” on the other hand uses the electric guitar differently by creating a more bluesy electric sound, thus producing a more calming and memorable vocal melody. My personal favorite track of this album is the final one appropriately titled “Burgh Island”. This track most resembles the style of songs portrayed in the album Every Kingdom. Much like Ben Howard’s popular track, “Black Flies” it’s a mostly calm song throughout, but has a powerful punch in the middle and near the end. Though it is not as catchy, it will definitely be a favorite to those fans of Every Kingdom. This album also excites me as it demonstrates that Ben Howard doesn’t have just one style, but illustrates that he has a variety of styles, leaving fans wondering, what will he do next? For those following Ben Howard, he will be touring in New York, New Jersey and Virginia, for a week beginning February 11th with another of my personal favorite bands Mumford and Sons. Is This Whitey’s Last Stand? Copyright © 2010-2013 Lost In The Sound by Frank Wu. All Rights Reserved.